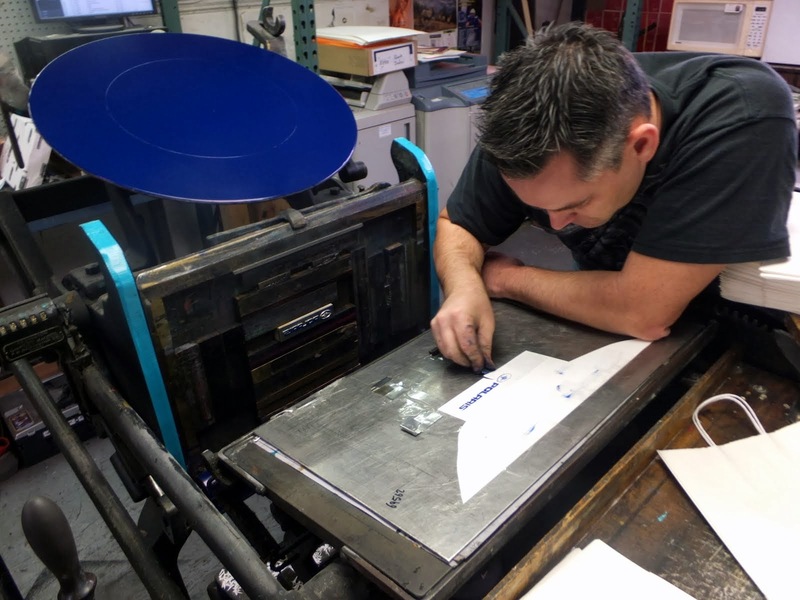 Wayzata Press is operated by the former owners of Rex Mills Printing. We had been conveniently located just off of Interstate 94 at the corner of Washington and Broadway in Minneapolis, Minnesota. These days we are working out of our home studio in Wayzata and only meet with the public by appointment. We are in a gritty neighborhood, surrounded by bars, steel companies and the like. You are welcome to visit--we recommend calling ahead to ensure someone can receive you. Exit at Broadway and drive one block west of Washington. Take a right on North 2nd Street, another right on North 18th Avenue, and a final right on Washington again. On street parking is available half a block to the south of the shop. If you miss it, circle around the block again. 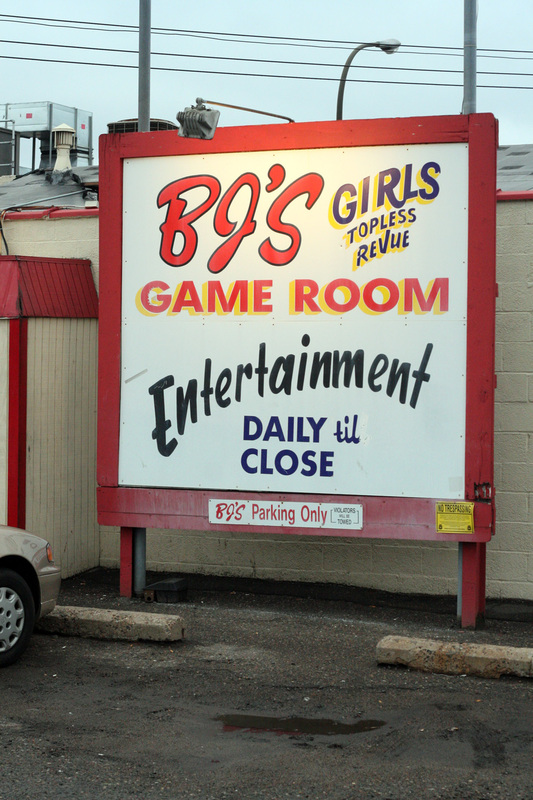 Our old location in North Minneapolis. 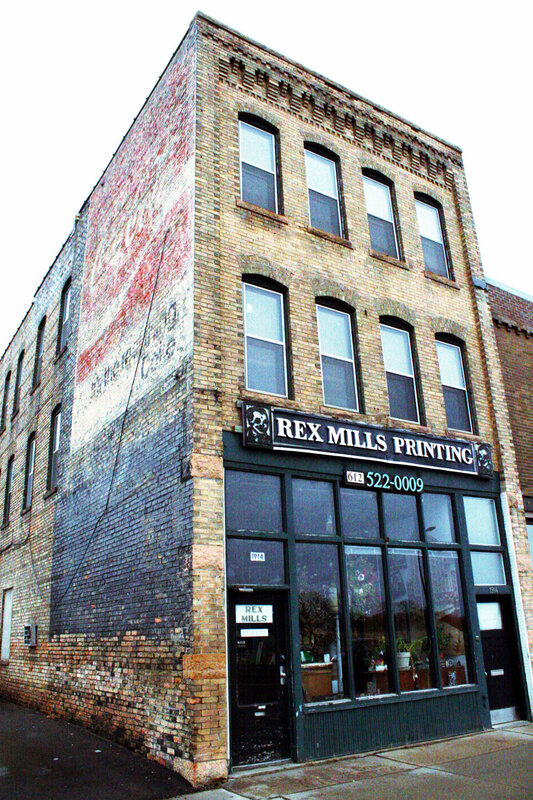 Rex Mills Printing . 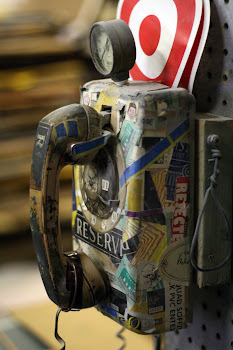 Visiting the shop is a treat for the senses, and is a visit back in time. Visually there is over 50 years of printing history, artwork, rock stars, heroes, babes, business cards, brochures, advertisements, posters, and more hung on our walls. If you would like to visit, plan on staying for a while so you can soak in even just a small portion of our offerings from the past. We also invite you to have a look at our decade and centuries old printing equipment we have on site, and see them in operation (at your own risk). Also pick your papers from the hundreds of weights, colors, and thicknesses we keep on hand to the dozens and dozens of the latest paper samples from the worlds best paper manufacturers.